CHANDIGARH, Punjab—The petition filed by Bapu Surat Singh Khalsa has been accepted by the Punjab & Haryana High Court. 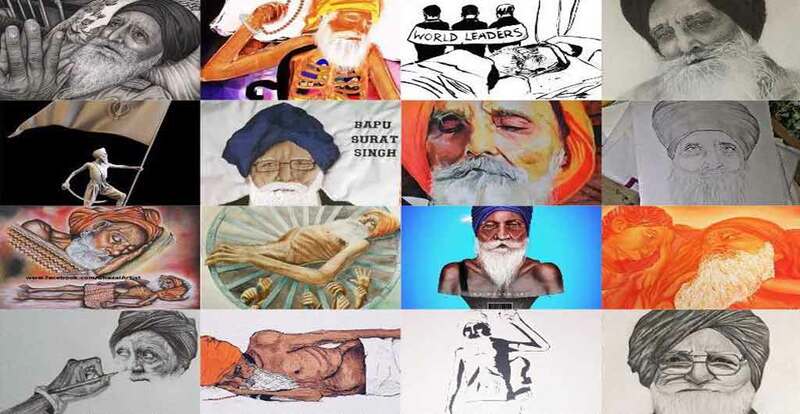 The petition was filed by Bapu Surat Singh’s son Ravinder Jeet Singh Gogi last month. The Punjab & Haryana High Court yesterday, May 5, issued a notice to the Punjab government to file its response by May 31. The petition was filed against Bapu Surat Singh’s illegal detention at the Dayanand Medical College & Hospital (DMCH) in Ludhiana. Petition states that the Punjab Government, along with the DMCH authorities have detained Bapu Surat Singh at the hospital against his will. Ravinder Jeet Singh Gogi had asked the court to summon the Punjab Government, Deputy Commissioner of Ludhiana, Police Commissioner and SSP of Ludhiana, concerned police inspectors and DMCH authorities. The petition was filed through High Court attorney R.S. Basi. Talking with Sikh24’s correspondent, Bhai Ravinder Jeet Singh Gogi informed that the DMCH authorities and an appointed Inspector Waryam Singh have been committing inhumane torture on Bapu Surat Singh Ji Khalsa. “Bapu Ji is being manhandled by the Police to force feed him against his wish. 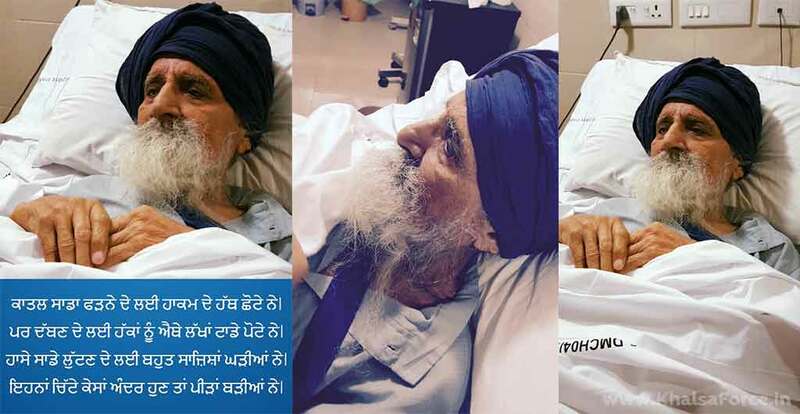 They are trying their best to break Bapu Surat Singh’s resolve, along with trying to malign him and the sangarsh for political prisoners,” he told Sikh24.